Many icons are etched in memory, but only one is fried into it: Colonel Harland Sanders, the beloved founder and brand ambassador of Kentucky Fried Chicken (now KFC) who died in 1980. Thanks in part to franchisee input, KFC is in the process of remodeling approximately 70 percent of its U.S. restaurants as one facet of a turnaround strategy focused on going back to the basics and returning to the core values Sanders symbolizes. This re’colonel’ization effort has provided the brand with 13 consecutive quarters of same-store sales growth. The strategy is not about looking back, but a recipe for success emphasizing innovation and brand authenticity, Brian Cahoe, KFC U.S. chief development officer, stressed with Modern Restaurant Management (MRM) magazine. Since 2015, more than 800 KFC restaurants in the U.S.– more than 20 percent–have been updated to the American Showman design. 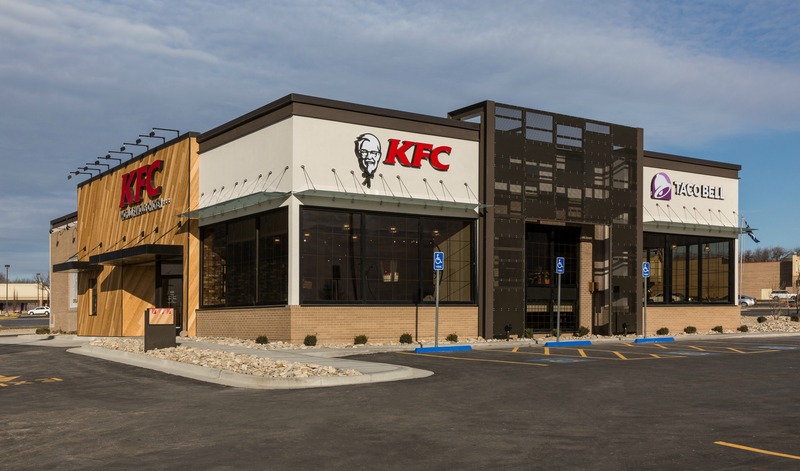 KFC recently reopened a marquee KFC/Taco Bell co-branded restaurant in Overland Park, Kansas owned by its largest franchisee, KBP Foods. Mike Kulp, president and CEO of KBP Foods said he too is proud of the remodel, and though, it only recently reopened, he’s already receiving encouraging responses from guests. “The drive-thru visits have skyrocketed,” he noted. Called the most unique YUM! Brands assets in the U.S, the nearly $3-million Overland Park renovation makes two complete restaurants in one, with separate drive thrus, back-of-house operations and front counters. It is the first and currently the only restaurant to make KFC’s virtual reality training game, The Hard Way available to diners via a gaming console. Debuted last August, the game demonstrates how to make Original Recipe® fried chicken in hands-on way with guidance from the Colonel himself. A Colonel Sanders statue perfect for selfies. Beverage offerings in partnership with PepsiCo, including STUBBORN SODA® and the Colonel’s Lemonade by Dole. 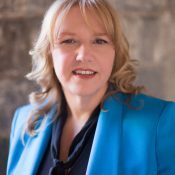 In particular, the retail element is proving to be a winner with customers, according to Kulp. The all-new facade features brick and distressed wood accents, new landscaping and painted murals. The exterior is also accented with color changing LED lighting. The cost is approximately 15 times more than a traditional remodel and recognizes KBP’s ongoing commitment to the brand. 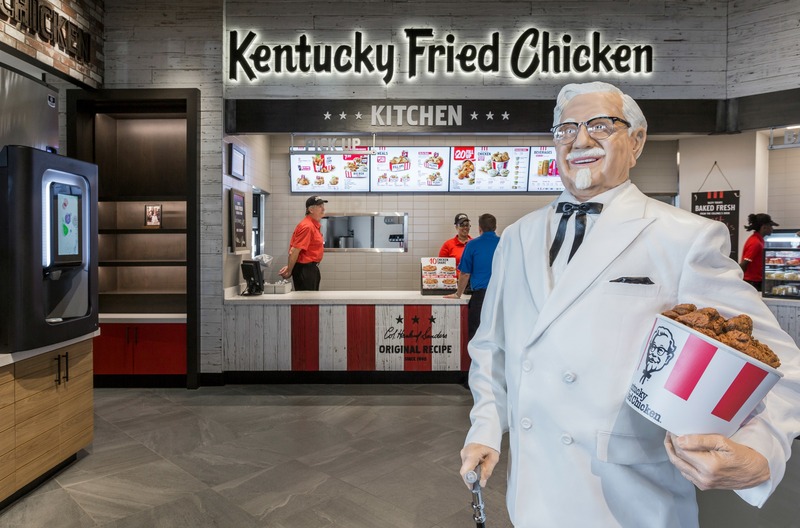 Last May, the franchisee completed a $2.2-million renovation of the “Big Chicken” KFC in Marietta, Georgia, which features a 56-foot steel chicken complete with a moving beak and rolling eyes. KBP Foods plans to renovate 250 of its 562 KFC and Taco Bell restaurants in 21 states by 2020. Cahoe noted KFC’s revitalization was fueled by listening to the needs and desires of guests and franchisees such as KBP Foods. KFC and KBP Foods teamed with FRCH Design Worldwide to realize the 6,500-square-foot renovation and kept true to the brand’s roots. For example, the “Kentucky Fried Chicken” sign was crafted by Ruggles Sign Company of Versailles, Kentucky, which was founded by the husband of one of Colonel Sanders’ daughters. early every other element of was customized specifically for the site. 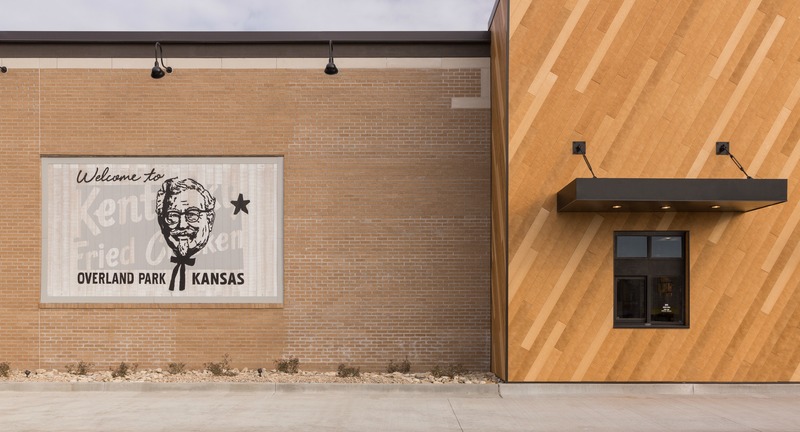 “The Overland Park store provided FRCH with a unique opportunity to express both KFC and Taco Bell as a combined flagship experience,” explained Aaron Ruef, Director, FRCH Design Worldwide. He said the design realizes a unified tone of voice through gestures of urban architecture, materiality and décor. Kevin Hochman, president and chief concept officer for KFC U.S., said the completion of the Overland Park restaurant marks a milestone for the brand’s remodel and building strategy. There are nearly 21,000 KFC outlets in almost 130 countries and territories around the world.